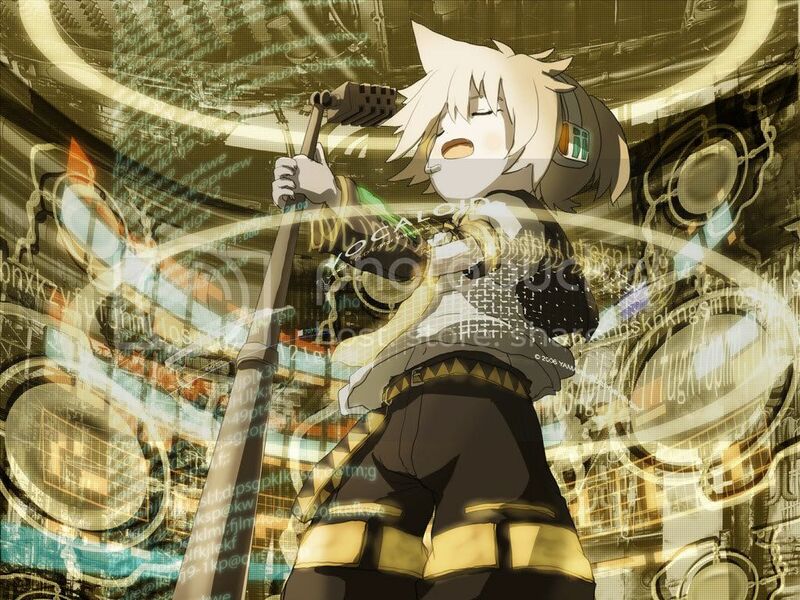 ~Eternal Snow~: Vocaloid Spotlight: Kagamine Len - Ganbarouyo. Of all the Len songs that I had listened to, I think this is the first one that I really liked, both lyrics and tune wise. There's also the video, which I feel is quite well made and compliments the song nicely. It does give that uplifting feel, the brightens up the day. Definitely nicely made. Using this as a filter post. I'm currently rushing the completion of my bicycle, thus the lack of time to do a post too. I had to re-strip (actually I only smoothen the surface this time) the paint job, as the colour didn't fit, and had it resprayed. I'm also currently on MC, as it seemed I had overstrained my back muscles, though I have no idea how that happened. Hopefully I can do a proper post tomorrow, this is just to show I'm not dead yet ^^. Enjoy the song and Signing off.